For nearly a decade critics have demonized NAI antivirals (particularly Tamiflu) as being either useless, or in some extreme cases, dangerous. The British press, in particular, has promoted the notion using hyperbolic headlines such as the Daily Mail's: Ministers blew £650MILLION on useless anti-flu drug. Fueling this controversy have been a number of Cochrane group analyses that found insufficient evidence that oseltamivir substantially reduces seasonal influenza complications in healthy adults. A conclusion based primarily on the fact that the Cochrane group routinely excludes observational studies in favor of more rigorous, but difficult to mount RCTs (Randomized Controlled Trials), of which few exist for Tamiflu. In 2010 we saw an observational study that appeared in JAMA (see Study: Antivirals Saved Lives Of Pregnant Women) that strongly suggested that Tamiflu was life saving for some patients with pandemic flu. And again in 2010, in BMJ: Efficacy of Oseltamivir In Mild H1N1, we saw a study which suggested that the administration of oseltamivir may have significantly reduced the incidence of pneumonia among otherwise healthy pandemic H1N1 patients. In December of 2012, in Study: The Benefits Of Antiviral Therapy During the 2009 Pandemic we looked at a meta-analysis of 90 observational studies that appeared in the Journal of Infectious Diseases that spanned nearly 35,000 patients, 85% of whom has laboratory confirmed H1N1. Their main finding was antiviral therapy - principally oseltamivir - initiated within 48 hours of onset, reduced the likelihood of severe outcomes, namely admission to a critical care unit or death, by 49 to 65%. Out of 308 cases studied, the overall survival rate was a dismal 43.5%. But . 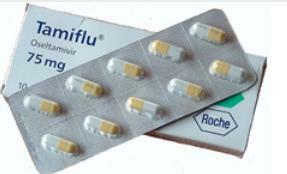 . . of those who received at least one dose of Tamiflu . . . 60% survived . . . as opposed to only 24% who received no antivirals. To these reports we can add a new one, this time from the ECDC, which has just published a 32 page expert opinion on the effectiveness of NAI antivirals for influenza, which finds evidence supporting the use of NAIs for the treatment and prophylaxis of influenza. This expert opinion is open for public comment until March 16th. Current recommendations on the use of the neuraminidase inhibitors oseltamivir and zanamivir for the treatment and prophylaxis of influenza disease are appropriate, finds a new expert opinion from ECDC, which today opens for public consultation. 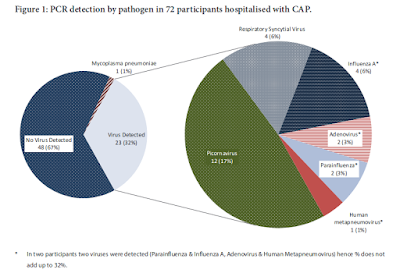 The review of recent systematic reviews and meta-analyses on the use of neuraminidase inhibitors for prevention and treatment of influenza finds that the studies presented strengthen the evidence base for the use of these antiviral treatments. Continued debate surrounding the effectiveness and safety of these antivirals has led to some uncertainty within the public health community regarding the antivirals’ potential benefits as a treatment option or as prophylaxis for influenza disease. As a result, the public health benefits may be being missed. The ECDC expert opinion demonstrates that there is evidence for use of neuraminidase inhibitors for treatment and prophylaxis of influenza. It also highlights the importance of further studies and the urgent need for the development of new antivirals with greater efficacy.